Frontier Corps (FC) and police launched a search operation in all sensitive prisons of Balochistan on Tuesday, a day after security forces foiled a bid to jailbreak over 100 militants from a prison in Karachi. Bashir Bangulzai, the Inspector General (IG) Prisons Balochistan, told reporters that four prisons have been declared sensitive in the province. The prisons include District Jail Quetta, Mach, Khuzdar and Gaddani. “Security has been tightened in and around all 11 prisons in Balochistan,” Bangulzai said. 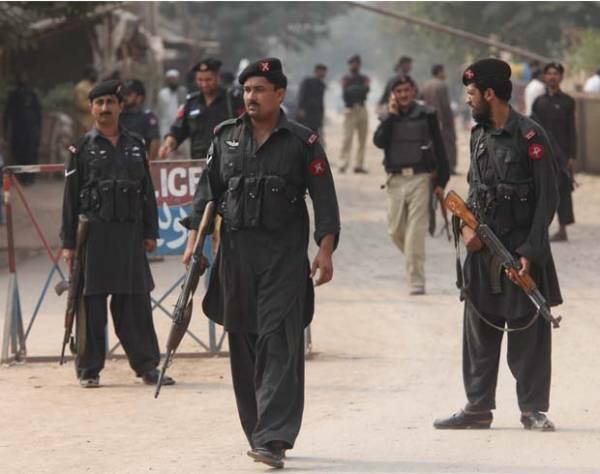 FC and police have been searching cells and inmates in all sensitive prisons located in Balochistan province, plagued by an armed insurgency and growing sectarian violence. The Balochistan prisons chief said the prisons currently accommodate more than 3,000 inmates in different locations across the province. “Only Quetta and Mach jails are overcrowded,” he said, adding that in the rest of the prisons, the number of inmates is relatively low. Sources in the Home and Tribal Affairs Department said that high-profile prisoners were kept in District Jail Quetta and Central jail Mach due to security reasons. To ensure any untoward incident, the Balochistan government has also deployed paramilitary FC personnel along with police and jail staff. However, Bangulzai acknowledged that security around district jail Quetta was tightened following the jailbreak attempt in Karachi. “We have put forces on high alert after the incident in Karachi,” he said. Sindh Rangers announced on Monday that they had foiled a bid to break into Karachi Central Jail after they found an underground tunnel being built inside a house near the prison. The militants were aiming to build the tunnel to lead directly into the jail barracks where high-value targets were being held.